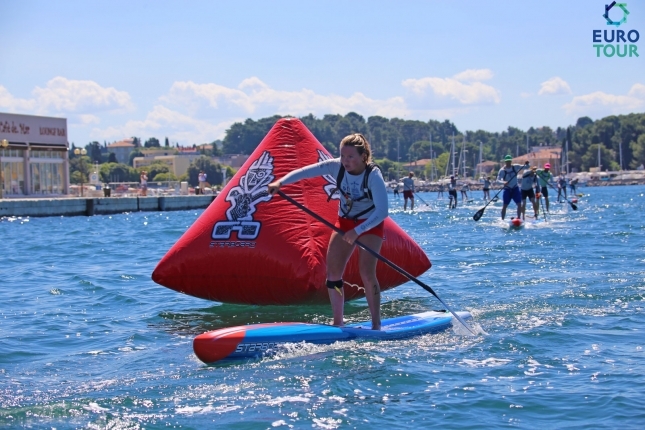 In brief: Starboard team mates Michael Booth and Fiona Wylde have taken out Week 7 of the EuroTour, claiming big wins at the “SUPer Challenge” in picturesque Poreč, Croatia this afternoon. Boothy continued his summer-long rivalry with Connor Baxter, however this time there were no close finishes, with the Aussie crossing the line more than two minutes clear of the Hawaiian. 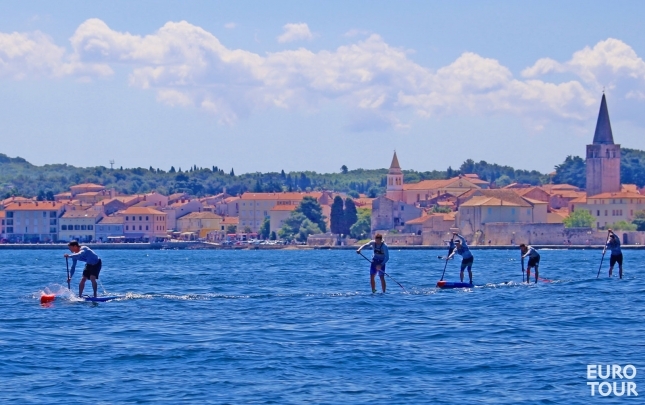 The Hasulyo Brothers, Bruno and Daniel, finished 3rd and 4th to continue their rapid rise through the ranks and give Starboard a clean sweep of the top four spots, while France’s Martin Letourneur rounded out the top five for Team Hobie. Jake Jensen was leading in the early, flat water sections, however for the second week in a row he found himself on a flat water board in an ocean race as the second half of the course got a little bumpy. In the women’s, Fiona Wylde broke through for her maiden EuroTour win after a month of standing on the lower steps of the podium. The Hood River local relished the light bumps on offer, finishing nearly 10 minutes clear of European young gun Manca Notar. Fiona’s win makes it a double for Team Starboard, and continues the dominant theme we’ve seen from the blue boards all summer. Croatia is the last stop on the EuroTour for the likes of Boothy, Connor and Jake, and although Boothy’s win today was impressive, it won’t be enough to overhaul Connor on the EuroTour Leaderboard, with the Hawaiian virtually guaranteed of defending his crown.